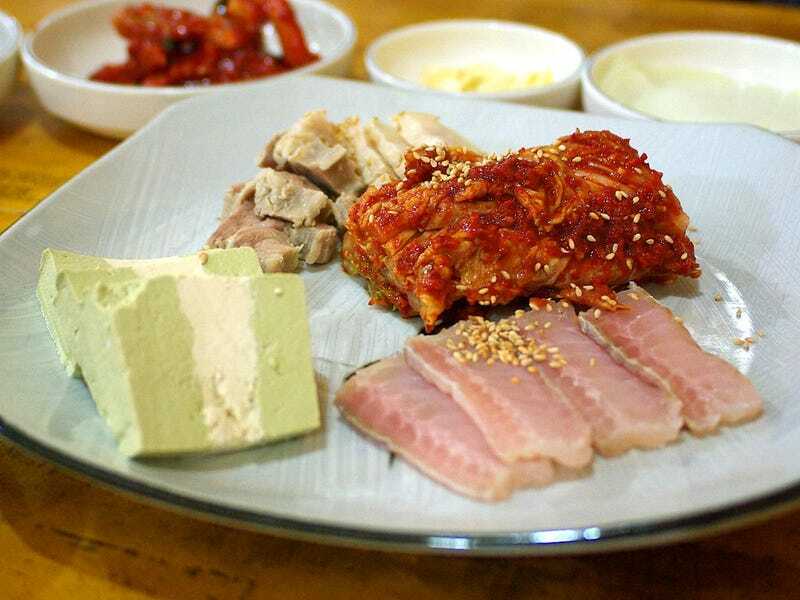 Fermented skate is one of the most popular foods in South Korea, as well as one of the stinkiest. The dish, called "hongeo," is described even by its fans as smelling distinctly of outhouse. Joe McPherson, American founder of the Korean food blog ZenKimchi, has compared its consumption to "licking a urinal." Photo credit: eggnara via flickr | CC BY 2.0. A Mermaid Purse via Wikimedia Commons | CC BY 3.0. So yeah. Weird fishes, those skates. Which we suppose makes it a little less surprising to learn that, when fermented and served as sashimi, they taste and smell pretty much exactly like an outdoor toilet. In the days before refrigeration, the fishermen's forebears learned that hongeo was the only fish they could ship from to the mainland 60 miles away without salting. The hongeo lacks a bladder and excretes uric acid through its skin. As it ferments, it oozes ammonia that keeps it from going bad. "Hongeo can't pee, and that's where the miracle begins," said Kim Young-chang, 77, the owner of a hongeo restaurant [on Heuksan Island]. More on this "miraculous" delicacy at the NYT.